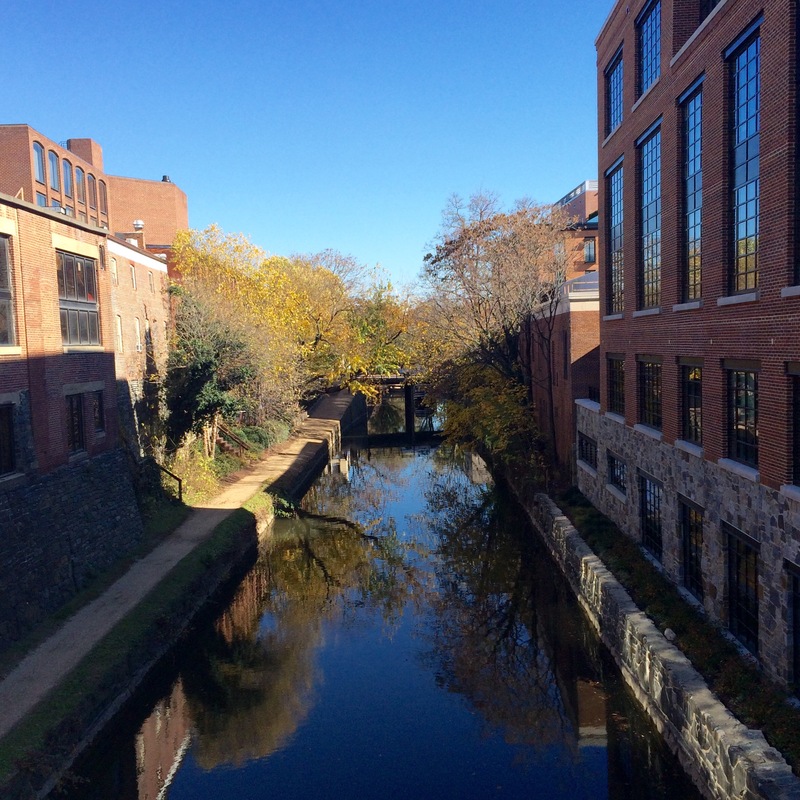 Fall on the C&O Canal in Georgetown. Once it gets to be mid-November, every truly gorgeous day feels like a gift, and today was one of those days. It was in the high 60s and sunny, so I decided to spend my lunch hour running an errand that required a walk along the Georgetown waterfront (bottom photo), then up Wisconsin past the C&O Canal (top photo). After my task was complete, I picked up a delicious chicken shawarma and mint lemonade and parked myself on a bench and basked in the sunshine. It was terribly cold in the office today, so I felt like a little lizard heating myself up on a rock. It was just what I needed to power myself through the afternoon at work. But alas, the weatherman on the 11:00 news just said today was “the best day of the week” and that it’s “all downhill” from here. So now I’m extra-glad I spent some time outside today while I had the chance. 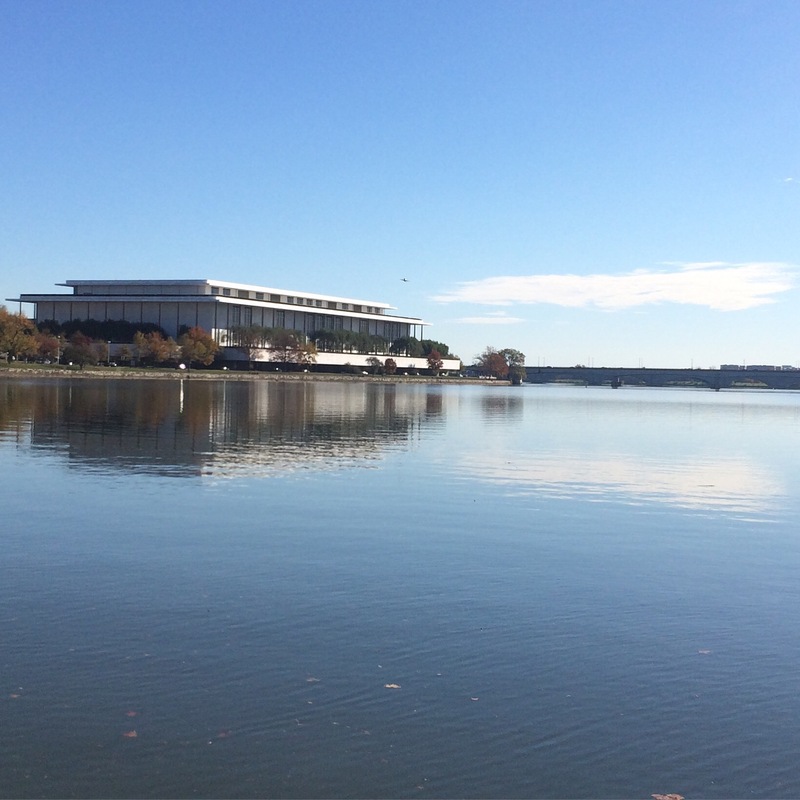 The Kennedy Center, as seen from the Georgetown waterfront.